From kagzi badam to Memory Plus, there are tens of concoctions which promise you better memory. Alas! Only if things had been that easy! Each of us would have been a genius. Memory slips, or moments of forgetfulness, are something we all suffer from. Often a name is on the tip of our tongue but we fail to come out with it. It is the same when we try to recall the most suitable word and fail. Situations such as this arise often enough and we wonder how we could improve our memory. If you must face a memory test, go well prepared. Do not just rely on recalling from your remote memory. Revise actively. Plan and work in such a way that you may do active revision. Read a text once, read it once again within the next 24-hours and again within a week to ten days, for it to stick firm and nice in your memory bank. Take notes, read them aloud, recite information to your self, draw an outline — because all of it helps. Highlight important lines and paragraphs. Give yourself practice tests to figure out where you need to work more. You may also use revision aids to test yourself. Observing means paying fullest attention to detail and soaking it up. This is a skill few people are good at. For instance, you must have seen a 500-rupee currency note several times, but can you remember what is pictured on the back of it? Unless you know it is Gandhiji leading his fellow citizens on the Dandi March, you must improve your observation skills. The rule is: Learn to click a mental picture of the things that are significant to you. 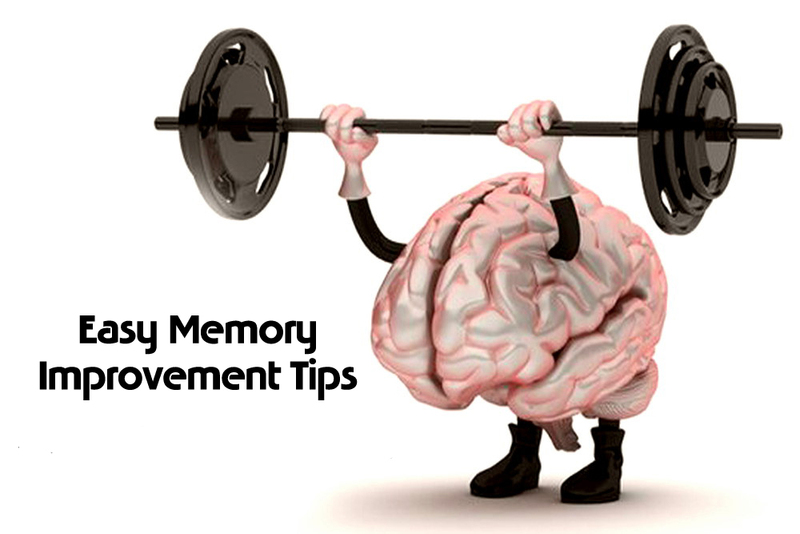 Make mnemonics or a rhyme for hard-to-recall facts and complicated and highly detailed information. It helps, and in a big way. Many things that I learnt at medical school nearly twenty-five years ago are still glued to my memory simply because a friend was clever enough to coin a few interesting mnemonics. You can try it too. It works like magic every time. Think around. To oil your recall machinery and get it working, reinstate as much as possible of what you know surrounding the issue, and there is every possibility that the missing piece of information will come back to you quick in a flash. The more connections you make, the better your chance of striking at the correct answer. Things that happened to you long ago did not happen to you in isolation from other events. Think of them, and you could easily have the year and other details of the event come back to you in a flash. For instance, I needed to recall the year we went to Manali, and tried, as I did, could not remember the year. But as I thought deeper it came quickly – it was the year the late Prime Minister Mrs. Indira Gandhi was assassinated. Pat came the answer: 1984. This was a fact easy to find, and even if my mind would have failed me, I could have easily looked it up in any GK reference book. Many times drawing such associations can set your mind on the correct track and help you recall a fact that occurred in the past. Jot down on a piece of paper the things that you need to remember. This will stack up that piece of information in your memory and, at the same time, free your mind for more important things. Your short-term memory, which has a limited bank, will no longer be under pressure. Doing crossword puzzles, delving in mind sports and playing board games like scrabble, chess and cards is an excellent recipe for sharpening your memory. The benefits will be gradual and subtle, and you must choose the games that you enjoy. But play them well, to win! If you find yourself groping for words, and this happens often, do as much reading as you can. Read stuff that is good and enjoyable and very soon you will find the words will flow in again. It is a solution I have tried with success. You could use it too! If you consume too much alcohol or use drugs, you are doing a disservice to yourself. They make you forgetful. Even the so-called performance enhancing and keep- awake stimulant drugs work the wrong way. They just fill you with false perceptions about time and ability. Stay away from them. Meditation increases the mind’s concentration and brings calmness. You free your mind of its encumbrances, allowing it a hard-earned rest as you enter a state of suspended consciousness. Go ahead. Try. It may take time and appear difficult, especially at the initial stage when you are in the process of getting the grasp of it. However, with the help of a yoga teacher it would not take long to succeed. Stress, anxiety and nervousness can disrupt memory performance badly. Many excellent students perform poorly in exams just because of this. Always maintain your cool and you would do much better. If you are the worrying kind, try yoga, deep breathing exercises, brisk walks and relaxation. If you exercise aerobically four to five times a week, there is a pretty good chance that you will beat a person who does not do any physical exercise in a memory test. If you aren’t regular with your physical exercise, change your sedentary ways now! Exercise is a wonderful tonic for the mind. It improves the blood flow to the brain, which automatically translates into improved thinking and memory. Research shows that a balanced diet, rich in vitamins, serves to refurbish your memory, word fluency and recall. Vitamins of the B complex family, particularly niacin, and beta-carotene, a vitamin A precursor, are specially recommended. Never think you are not going to do well. Think positive and try one hundred per cent. You might end up achieving a neat 90 per cent score, and that isn’t bad! But try some more, and you may fulfil your goal in toto.